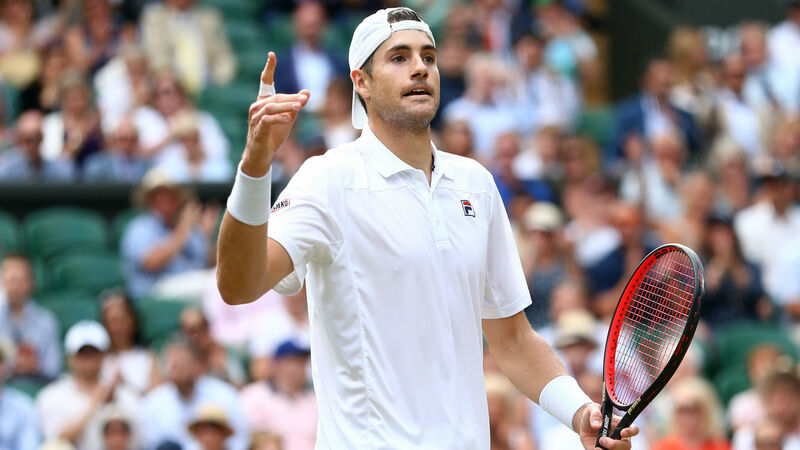 John Isner found himself involved in another record-breaking Wimbledon epic Friday as his semifinal with Kevin Anderson became the second-longest singles match in Wimbledon history. This time, however, Isner came out on the losing end, falling 7-6(6), 6-7(5), 6-7(9), 6-4, 26-24 in six hours, 35 minutes on Centre Court. Isner is best known to many fans, particularly in Great Britain, for his astonishing contest with Nicolas Mahut on Court 18 at Wimbledon in 2010. That match spanned 11 hours and five minutes, with Isner eventually triumphing 70-68 in an astounding final set. On Friday, the American became embroiled in another marathon contest, he and fellow big-server Anderson — who sensationally beat defending champion Roger Federer 13-11 in a fifth set on Wednesday — trading ace after ace in search of a place in the final at the All England Club. As Isner served for a 16-15 lead, the match became the second-longest Wimbledon singles clash at just over five and a half hours. However, it was still only half as long as the absurd contest between Isner and Mahut. Spare a thought for Rafael Nadal and Novak Djokovic, whose wait to play their own semifinal finally ended around 8 p.m. local time.